Take a look at the man in the middle of this picture. The picture was taken on a Canadian high school basketball court, a place that he does not belong. The man is Jonathon Nicola, and according to the birth date he gave when applying for an American visitor visa, he was 29 years-old at the time. He may or may not have been 29. He now says that he doesn't know his true age. His age in that picture is most certainly not 17. That news was broken by the Windsor Star three months after that picture was taken. Nicola was arrested by the Canada Border Services Agencyafter the ruse was revealed. In the bubble of basketball and media, this is a big story. "17 year-old with NBA dreams is actually 29 year-old running age-old scam." Outside of the bubble, the picture reveals all. Nicola's furrowed brow, receded hairline, adult musculature and face that has seen the smooth puffiness of youth escape tell the story. That is not a 17 year-old. Not even close. Now look at this man. If we are to believe Milwaukee Bucks management, that is the picture, from one year ago, is of an 18 year-old boy, not a 23 year-old man. 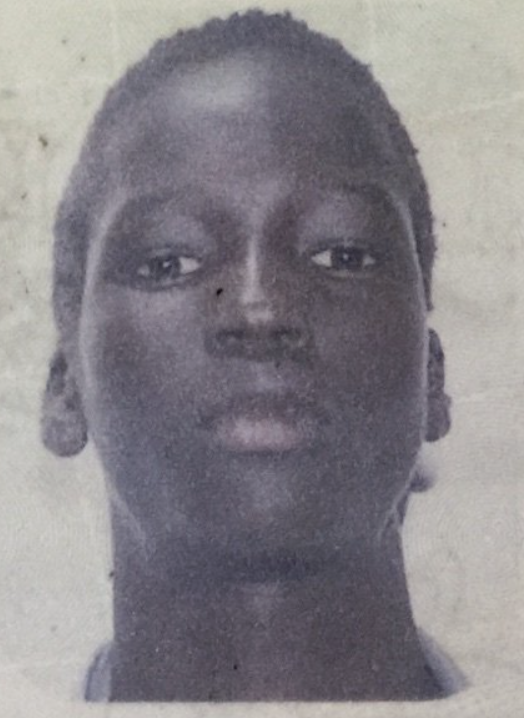 If we are to believe Bucks management, this picture, from Thon Maker's first Australian passport, is that of a 12 year-old child, not a 17 year-old teen. Look at the pictures. Block out everything you've heard and read about Thon Maker's age, and look at these pictures. Maybe pictures lie. 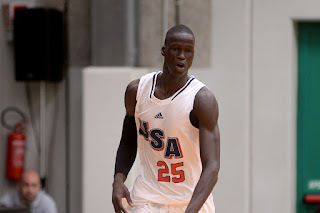 Maybe Thon Maker has an aging disease, or maybe those were just bad angles. There are two stories, and only one can be true. Story 1: Thon Maker emigrates to Australia at the age of 6, waits until he's 12 to get a passport, is discovered by American expat Ed Smith in Perth at the age of 14 and makes his way west to become the Bucks' first round pick in the 2016 NBA Draft. 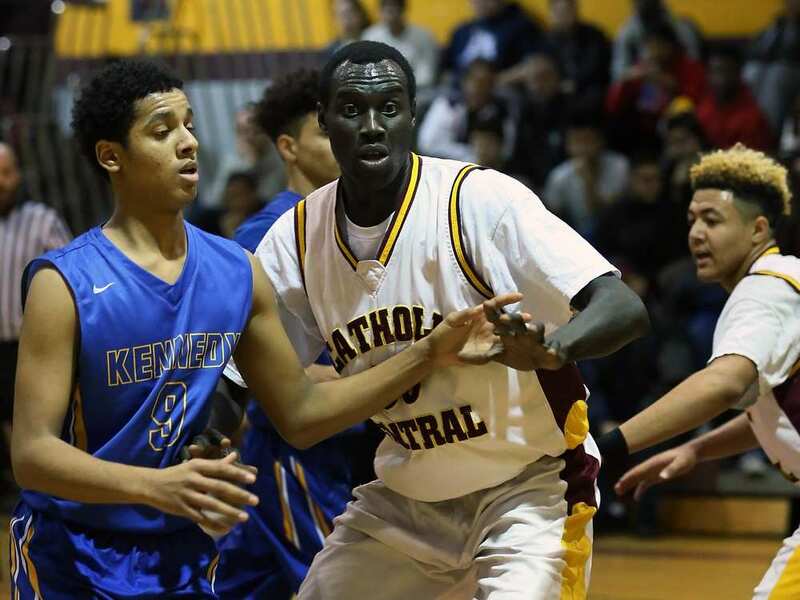 Story 2: Thon Maker is an ordinary Sudanese kid living in Australia when he's discovered by Ed Smith, who has set up something of a basketball pipeline from Sudan to Australia to America. Smith trims five years off Thon's age when getting him his first passport, knowing that NBA people won't care about a rail thin seventeen year-old with no basketball skills. Maker and Smith keep up the ruse, and now he's the newest hope for the Bucks. It matters. It matters because basketball players have a development curve, and it's known. They are raw until age 20, then they learn what the game is. At age 24 comes The Leap, as famed sports personality Bill Simmons likes to call it. The final part of the curve is age 31, give or take a year, when the player reaches peak awareness as his athletic ability begins to wane. If the pictures tell the truth, then what we've seen is what we've got. Thon is in his prime, and this Thon is the best Thon. And for a team that's had a hard time winning, that may not be enough.